There are few rites of spring more satisfying than the annual spring cleaning at home. While spring is a time for renewal in nature, it's also a time to renew your home and clean out from the last year. Lots goes into it. Cleaning, cleaning, scrubbing, redoing the curtains, cleaning out the garage, the attic.....so many things. But what do you do with all of that stuff you've accumulated over the past year and have realized that you don't want...or just don't have room for any longer? Donate it to a local organization. Have you ever heard the term, "one person's junk is another person's treasure"? This year, why not open up your pantry, closets and drawers and donate. From canned food to seldom-used clothing and household goods, it’s easy to turn a spring-cleaning ritual into a donating tradition. No matter the items you find on pantry shelves or closet bins, chances are they can be put to good use for others. Instead of just reorganizing things you don’t necessarily use or want anymore, consider donating your items. Not only does this clear up space in your home, it also gives you the perfect opportunity to eke a few tax deductions from your cleaning efforts. Several local non profit organizations throughout the Beaufort area rely on your donations to help them out throughout the entire year and they have retail stores devoted to selling the second hand merchandise that they receive as donations. These 'thrift stores' are important to the organization in assisting them to reach their fundraising goals. And, they're also important to the thousands of folks who enjoy shopping at thrift stores. Locally in Beaufort, there are several. 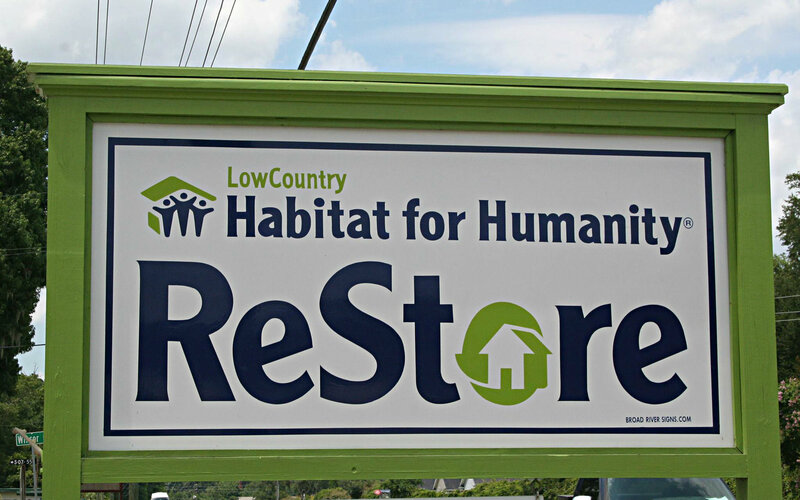 Lowcountry Habitat for Humanity's ReStore helps raise money for Habitat's mission, to help fund the purchase of materials to build Habitat houses in northern Beaufort County. To date, they've built over 50 of them, and have done it with your help. You'll find ReStore at 612 Parris Island Gateway, in Beaufort. CAPA's Closet helps to support the mission of CAPA, the Child Abuse Prevention Agency to break the cycle of child abuse and neglect by equipping parents, children and their caregivers with necessary skills, knowledge and values. You can find CAPA's Closet at 1340 Ribaut Road. Friends of Caroline Hospice operates its Thrift Store at 1100 Ribaut Road in Beaufort. Proceeds assist in their mission of provides quality-of-life care that offers hope and encouragement to those nearing the end-of-life's journey and support for their family, friends and the community. A few local churches have joined together in operating a newer Thrift Store on Boundary Street named 2 or 3 Treasure House. You can find it at 914 Boundary Street. As you can see, each of these local stores are all for a good purpose with money raised from the sale of donated items all going to worthwhile cause. So, before you head out to the garbage dump with that old dresser, consider helping a local organization in need instead. Most of the ones mentioned in this article even come to you and pick up larger items from your home.